The article and all photos were submitted to Explorer4x4.com by David Meisner. This vehicle has been modified by installation of a lift kit and has unique handling characteristics. Because of the higher center of gravity and larger tires, this vehicle handles and reacts differently both on and off-road than a passenger car. Park vehicle on level surface. Block the front and rear wheels so the Explorer won't roll. Remove the front and rear bumpers. 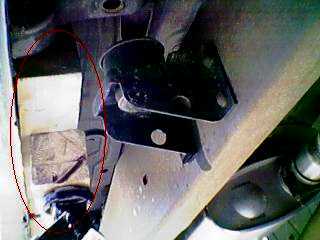 Remove the connecting bracket from the parking brake cables (this is the metal bar connecting the cables underneath the drivers door). Pull the cable towards you and then slide the cable off of the bracket. Remove the cable from the body frame mount. Remove the air intake duct from the engine and air box. Remove the upper fan shroud bolts. Lift the fan shroud up to remove from the lower mounting clips. Allow the fan shroud to rest out of the way on the fan and engine. Inspect all of the wiring, hoses and cables that connect the engine to the body. 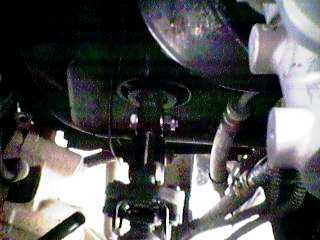 Pull the brake lines free from the mounting clips on the frame rail just below the master cylinder. Mark the upper steering shaft where it connects to the lower steering shaft. The is for proper alignment after reinstallation. Remove the bolt that connects the shafts together. Slide the intermediate shaft down and off of the upper keyed shaft. Inspect the wiring harness and cables that connect to the transfer case or transmission. Disconnect if necessary. 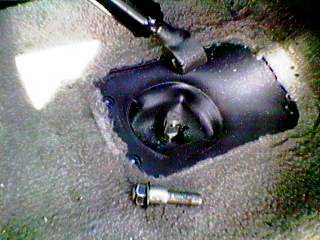 Remove the four screws that mount the shift boot to the floorboard. Pull the boot up to reveal the bolt and wedge stud that attach the upper shift lever to the lower shift lever. Remove the nut from the front side of the wedge stud. Install the nut on the back side of the wedge stud. Tighten the nut to remove the stud. After the stud has been removed slide the upper shift lever off of the lower shift lever. 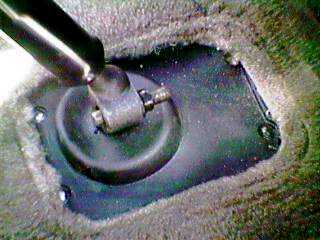 Install the shift extension on the lower shift lever. Insert the 1/8"x1/2" roll pin in the hole in line with the slot on the extension. Install the nut on the bolt with the nylon toward the head of the bolt. Align the roll pin with the slot on the side of the lower shift lever. Slide the shift extension on to the lower shift lever. Insert the bolt and nut assembly into the threaded hole on the extension. The hole should be aligned with the flat milled area at the top of the lower shift lever. Tighten the bolt securely. After the bolt has been tightened, tighten the nut against the extension. Install the upper part of the shift lever onto the extension. Install the wedge stud through the slot on the extension. Install the nut on the front side of the wedge stud. Tighten until the lever is securely in place. 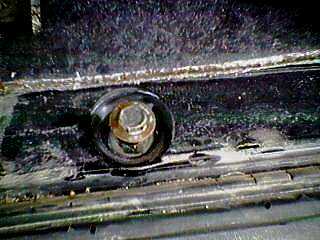 Remove the door jamb kick plate mounting screws from both sides of the explorer. Remove the kick plates and panels. Remove the screws and kick plate from the rear hatch to expose the rear mounting bolts.. Remove the four mounting bolts from the bottom of the front seat tracks. Do this for both the driver and passenger seats. Lift the outside of the seat and tuck the edge of the carpet under the seat out of the way. This exposes the body mounting bolt covers in front and behind the front seats. Remove the mounting bolt covers. Fold the rear seats down and lift the cover panel to expose the mounting bolts in the front of the rear deck. Remove the mounting bolt covers. Loosen the five body mount bolts from the driver side of the explorer until the bolt is no longer exposed from the mounting nut. Remove the body mount bolts from the passenger side of the explorer. Using a wooden block and a hydraulic jack, lift the passenger side of the explorer. Constantly check for any binding wires, cables or hoses. Remove the front bushing and sleeve from the frame. Drill out the threaded portion of the bushing's sleeve with a 1/2" bit. Replace the bushing and sleeve onto the body frame mount. Place the five lift blocks onto each of the body mount bushings. Install the new body mounting bolts but do not tighten. Be sure and re-use the stock large washers for the three innermost body mounting bolts. There are three lengths of bolts. The largest bolt goes in the rear of the rear deck. The next largest bolt goes in the front of the rear deck. The other three bolt are the same size. Lower the hydraulic jack. Repeat the above step for the driver side of the explorer. Measure the distance between the frame rail and the fender wall both front and back. Adjust the position of the cab until it is centered on the frame. Tighten all ten of the body mounting bolts and replace the bolt covers. Reposition the carpet and install all kick panels and plates. Reposition the front seats over the mounting holes and bolt securely. 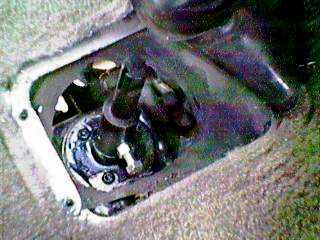 Reinstall the shift boot assembly by tightening the four mounting screws securely. 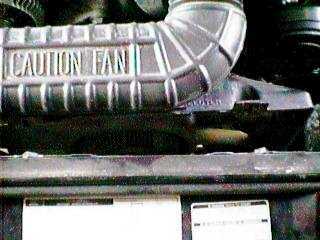 Install the upper fan shroud drop down brackets to the radiator using the stock bolts. Bolt the top of the fan shroud to the new drop down brackets. 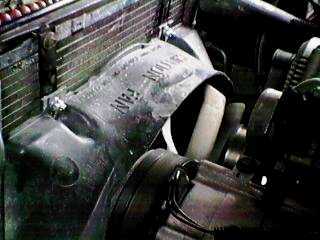 Place a small piece of rubber insulation between the bracket and the radiator to prevent any vibration damage. Using a self tapping screw, mount the top of the lower fan shroud bracket to the lower radiator support. Drill a hole in the bottom of the fan shroud and bolt securely to the lower fan shroud bracket. Ensure that the fan shroud is isolated enough from the fan and positioned appropriately. Reinstall the air intake duct. Re-install the front and rear bumpers. You can use any type of filler material to cover the gaps between the body and the bumpers. 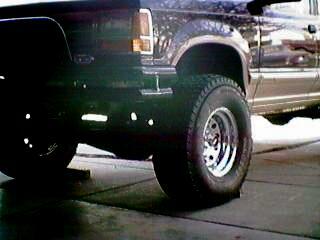 Use the supplied bumper brackets if needed. These brackets are not meant for any purpose other than looks. 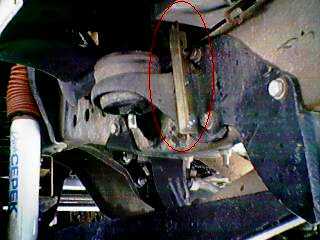 Install the parking brake relocation bracket onto the rear of the body mounting flange just below the drivers door. Use a drill with a 1/4" bit. Relocate the parking cable above the center body frame mount and connect to the front parking brake cable. Adjust the parking brake as necessary for proper engagement. 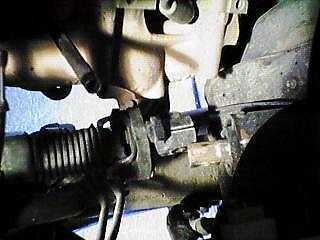 Re-install the steering extension into the upper steering shaft. Line up the hole in the steering extension with the hole in the upper shaft. 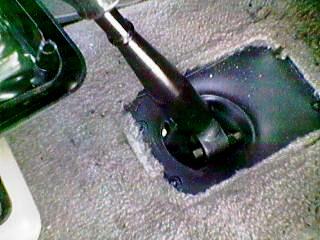 Install a bolt with a washer through the upper hole in the steering extension. Place a few drops of permanent Loctite on the threads of the bolt. 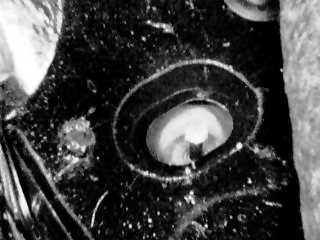 Install a washer and nylock nut on the bolt. Do not tighten. Install the lower steering shaft coupler onto the steering extension, be sure to line up the marks made earlier on both shafts. Place a few drops of permanent Loctite on the stock bolt and install through the lower steering coupler and the steering extension. Tighten both steering extension bolts securely. 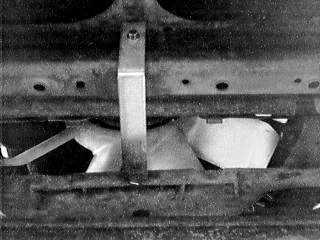 If the steering coupler does not fit inside the lower steering shaft, file down the corners until it fits before you bolt it to the upper steering shaft. Re-install any wires, cables or hoses that were disconnected. Check all bolts and hardware to ensure that they are tightened securely. Take the explorer out for a test drive and note any abnormalities that may have been caused by the lift installation. If the steering response is somewhat jerky, www.flaming-river.com can provide a replacement steering shaft. This will eliminate the shaft angle created by the body lift. Show off your enthusiasm for Ford truck with Ford truck decals from AmericanTrucks.